Life is sweet! 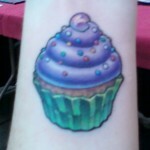 So is this tattoo, which was done by Til Death Tattoo of Portland, Maine. 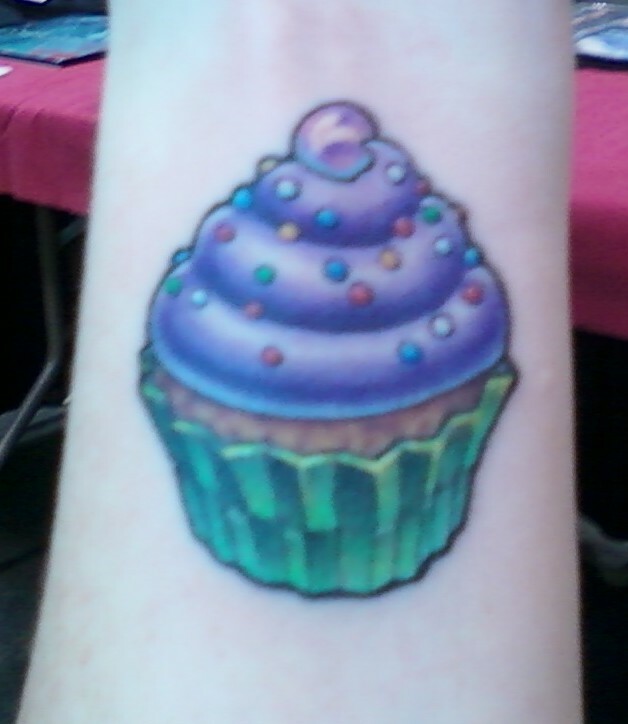 Don’t have a cupcake tattoo yet? What are you waiting for? 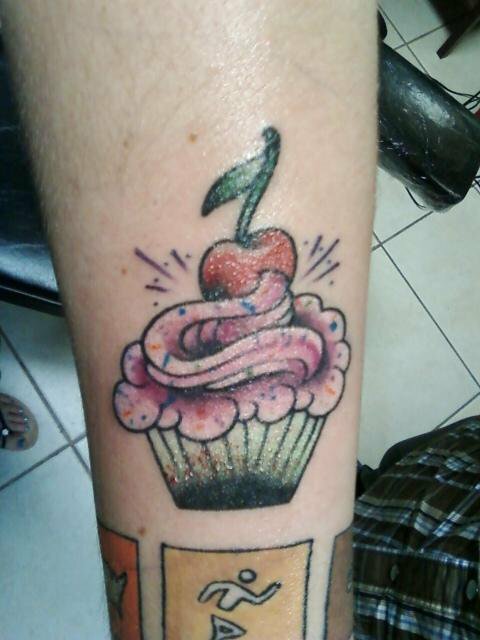 These lovely creations were done by Jeremy Miller of Pigment Dermagraphics! 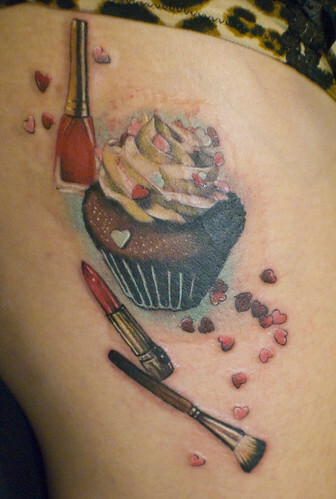 I just found this lovely cupcake tattoo on Flickr. 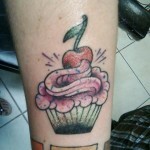 Mez Love is a tattoo artist from Tattoo Boogaloo in San Francisco! 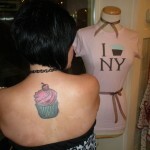 Check out her portfolio for more amazing designs (including more cupcakes)! 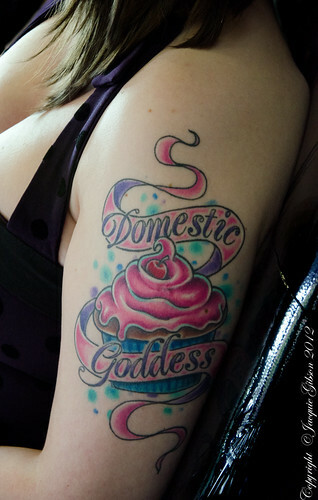 Sorry, this might be inappropriate, but somehow I just had to share it with ATC readers. 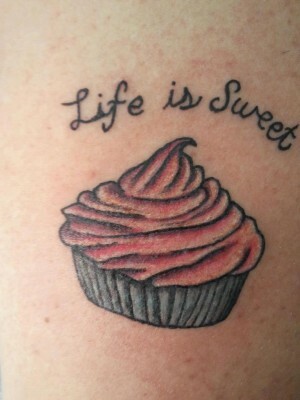 Don’t blame me — blame For the Love of Cake of Toronto for this clever and hilarious decorating idea. 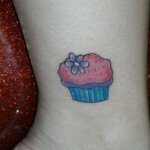 Today I found one of the most beautiful cupcake tattoos I have seen. 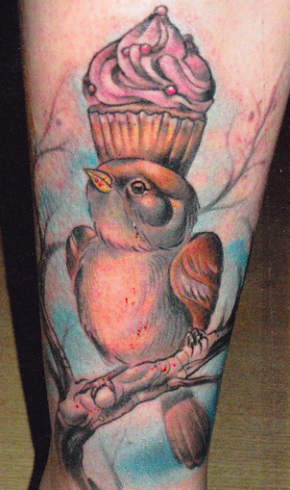 It combines the love of cupcakes with a love of birds into one amazing tattoo. 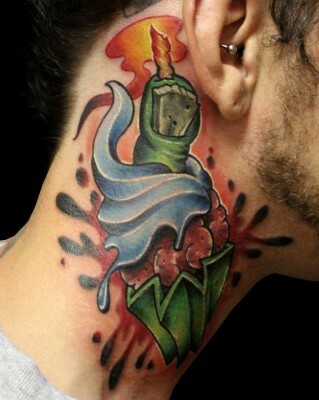 This one I found by way of Stephen Young. 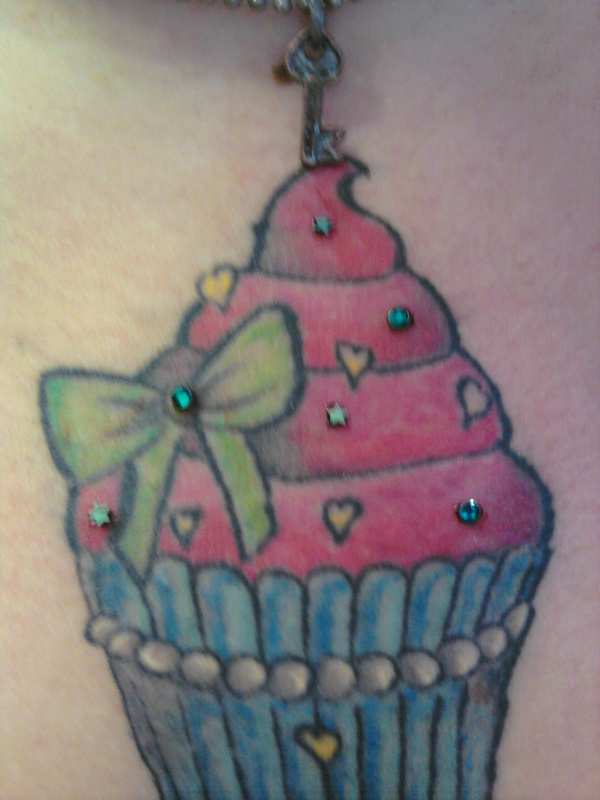 The tattoo however is by Curtis Burgess from Tribal Rites Tattoo and Piercing in Fort Collins, Colorado. 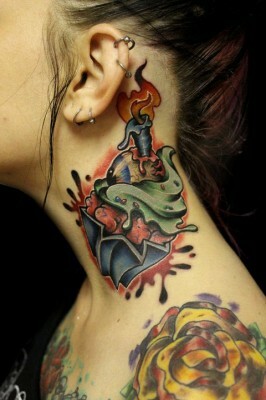 Although I am unlikely to have a tattoo like this I would love this picture as a piece of art! 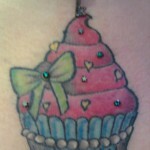 Have you got a tattoo that covers your love of cupcakes and something else special in your life? 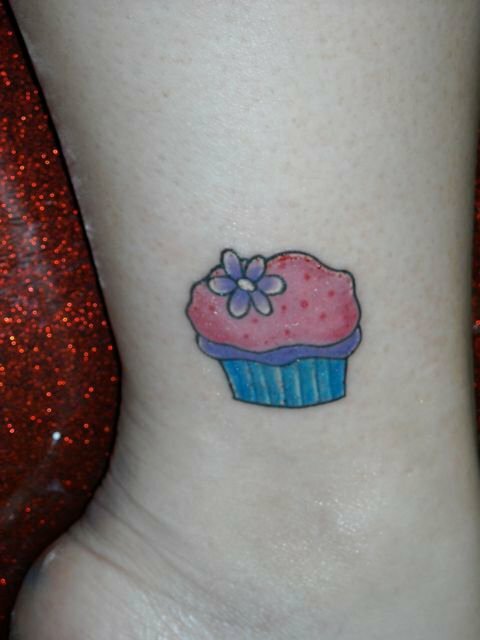 If so why not share it with us so that we can increase our amazing collection of cupcake tattoos and inspire future tattoos!